Wonders that grant you an extra turn are powerful and versatile in 7Wonders Duel. In this article we describe the three different kinds of situations in which extra turns can be leveraged for a strong advantage over your opponent. The temple of Artemis grants 12 gold and an extra turn. An extra turn wonder makes it much easier to obtain a specific card that you need. With an extra turn wonder you don’t have to wait until the card you want becomes available, you can leverage your extra turn to obtain it as soon as it is obstructed by only one other card. This doesn’t just mean that you are more likely to obtain the card you want, but also that you can obtain the card you need quicker than normally. This is huge, for example, if you obtain a second science icon and with that a progress token like strategy, economy or urbanism. 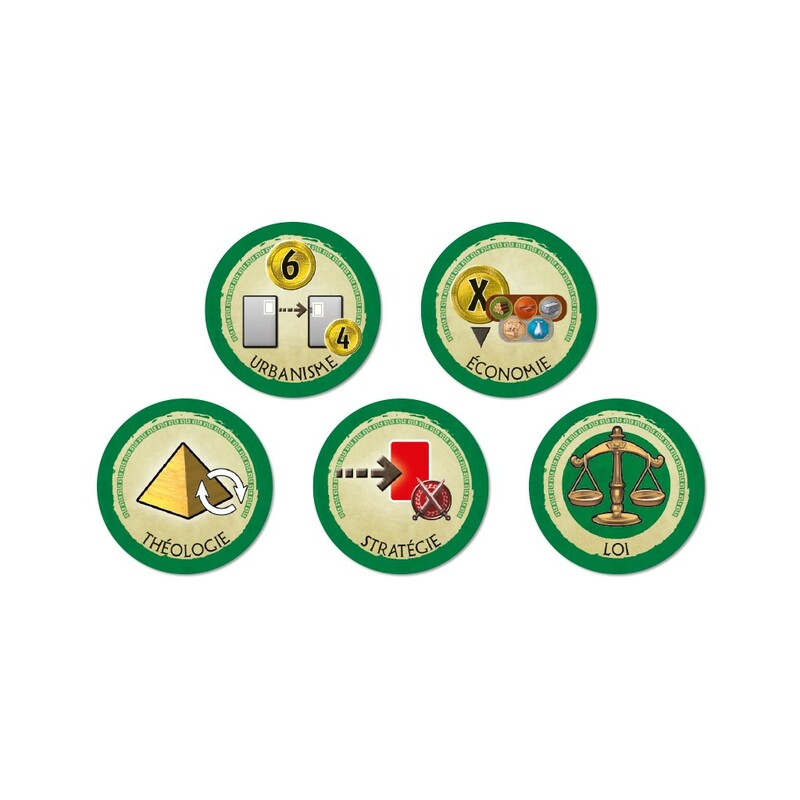 Since these progress tokens have ongoing effects, the total benefit you obtain from them is bigger if you obtain them earlier. Normally if two good cards are open simultaneously, you will get one of these cards and your opponent will get the other. But, if you have an extra turn wonder, you can use one of the good cards to build that wonder and then buy the other good card in your extra turn. This way, you get a good card and your opponent does not. Sometimes the cards are dealt in such a way that at the start of an era you can already see that you have to open up most of the good cards for your opponent, while during your terms only mediocre cards will be available. Normally, this is tough luck and you just have to deal with it. But if you have an extra turn wonder, you can use it to flip the script. By taking an extra turn at the start of the era, you basically reverse the turn order, and your opponent will have to move during what would have been your turns, while you get to move during what would have been his turns. Therefore, you will now get most of the good cards instead of your opponent. > Click here to buy 7Wonders Duel and leverage the power of extra turn wonders against your opponent.